There is a place with G-d’s fingerprints all over it. And they form a pattern, two hand prints, 10 fingers and a date. Last week, I was wrapping one of our Pesach cabinets, when I discovered 3 bags of Israeli cous cous (chametz gamor) in the cabinet we were selling beside it. My ego swelled and I felt like a hero. In the very next second, the door swung shut on my pinky, crushing it. I carefully removed the chametz and paused to ponder the relationship between the two events, which by the way is the real kabbalah—examining the causes and effects in our lives, not reading people’s astrological signs. I realized G-d was not allowing me the slightest ego and was crushing it out of me like oil from an olive. I was so grateful. The pain and bruising went away instantaneously and I saw G-d’s fingerprint in the event. I had no trouble seeing G-d’s hand in the cause-and-effect event. Thanks to the wave of Binah energy that is blanketing us, shortening the time frame between cause and effect, many like-minded individuals can see it too. But what of the skeptics and doubters? At the time of the incident I had been working on an answer for them, a place where G-d’s fingerprints would be unmistakable and unquestionable. Moreover, these fingerprints tell a story, tell us about the opening of the 50 Gates of Binah and the onset of the 1000 years of Moshiach Ben David that are upon us. If G-d were to have carved His Designs, Plans and Name in a 1000-year-old tree would people believe it was real? No, anyone could have carved them there. If He engraved them in large letters high up on a giant rock ledge, would they be heeded? Probably not, again someone could conceivably carved them. If He gave us specific instructions in the Torah would Man follow them? Again, as is evidenced, most would not, and even many of those that do do not know what to make of them. Total certainty, the necessary password for the Gates of Moshiach, is so difficult to achieve. So where could G-d place these designs and plans of His so that we can be sure that only He could have written them, and none other? There is a place and it is hard to reach, in fact, it was only reachable in the last few decades and only to the people least likely to have such faith in G-d. Even though we can prove beyond the slightest doubt that Man could not have written the Torah and that much of the Torah is designed to connect us with the various Names of G-d we cannot prove to you that G-d wrote it; after all, a hyper intelligent life force from outer space or from the future could have done it too. Nevertheless, the omniscient G-d redundantly placed those designs and proofs for us in a place that aliens could not have created. G-d hardwired them into the fabric of the universe, into the physics and mathematics that have existed since the dawn of time. G-d made them tamperproof. G-d made them immutable and he made them readily accessible to us only as a last resort. We had thousands of years to find G-d on our own. With no time left, we demand proof. Before the bundled 7 dimensions of Zein Anpin, the stairway to Heaven represented by the Torah, there existed the realm of Binah. Binah is characterized by the Primordial Hebrew letter Aleph (א), whose numerical value is both 1 and also 1000. The spiritual dimension of Binah (Understanding) is the World to Come. Binah is the 1000-year long Shabbat; it is the 7th millennium. It is represented by both the 1000 letters in the Shema prayer and by the first 1000 digits in the mathematical constant Pi. 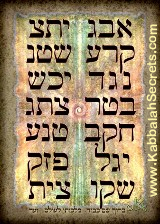 It is the place of the primordial letter Aleph (א). It is the place of infinite understanding and limitless possibilities. It is upon us and the 50 Gates of Binah are wide open. Given that the standard mathematics in our universe is base 10 and that our modern scientists and ancient kabbalists agree that the 10 sefirot (dimensions) form a whole or unity/oneness in both our physical and spiritual universe, base 10 logarithms are the equalizers that make all numbers equate to 10. The standard mathematics in our universe is base 10, meaning we count from 1 to 10, then 10 to 100, and 100 to 1000 in cycles of 10. Not coincidentally, the standard gematria (numerical valuation) of the Hebrew letters are counted the same way. Logarithms sound complicated, but the logarithm (log) of a number is the exponent (power) to which another fixed number, called the base, must be raised to produce that number. If we wanted to know the base 10 logarithm of 1000 we would need to calculate to what power 10 must be raised to equal 1000 and since 1000 = 10 × 10 × 10 = 103, the “logarithm to base 10” of the number 1000 is 3. This simple schematic of 10 x 10 x 10 equaling 1000 and thus 103, mimicking the spiritual structure of the universe in 3 columns and 3 iterations of the 10 sefirot (dimensions) whereby the 1 st iteration is equivalent to our world, Malchut , the next one to Zeir Anpin and the 3 rd to Binah. This unity/oneness in our base 10 mathematical system is why the logarithm of the number 10 is 1 (0ne). That same system dictates that the sum of the logarithms of the integers from 1 to 70 is 100.078, in order words if we take all the resultant logs for each number from 1, 2, 3… 70 and add them all together they would give us 100.078, metaphorically 1000 and 78. Kabbalistically, the decimal place is irrelevant, as it is just a multiple of 10. Also 78 is the value of the Hebrew initials of the 3 column Tree-0f-Life (חיים עצ) which is the choice we must make in 5778. We must choose the tree-of-life over the tree-of-knowledge of good and evil and yet G-d purposely embedded his signature within the boundaries of our knowledge. And while 78 is 3 times the value (26) of the Tetragrammaton (יהוה), 1000 is 3 iterations of the 10 sefirot of the tree-of-life (10 x 10 x 10). Adding up 70 irrational numbers and coming up with a whole round number like 100.0 to 3 decimal places is pretty special, but the number 70 itself has a very special place in G-d’s Divine plans. There were 70 members of Jacob’s family that entered Egypt; 70 members of the Sanhedrin that were formed at Mt Sinai; the 10 Commandments were found in the 70 th chapter in the Torah; and the many all-important 70-year periods throughout Biblical history from Adam to Abraham to David to the exiles and all 3 Holy Temples, culminating in the 70 years since the birth of the State of Israel to the prophesied coming of Moshiach this year in 5778. 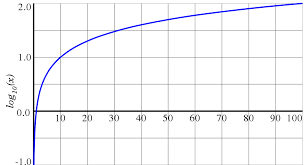 This deep impression connecting the 1000 sub-sefirot (dimensions) of Binah with the 70 sub-sefirot of Zeir Anpin is but a single fingerprint that G-d left for us within the logarithmic scale. It is also the connection we need to make to jump from Zeir Anpin, the heavenly ladder, to Binah. The logs of a number are immutable, and man has no say in them. The results are unique. After noting that within the endless stream of logs, the number 70 stands out starkly, as in the 70 members of Jacob’s family that entered Egypt, we can see yet another fingerprint of G-d in the unity and oneness of the 600,000 souls that received those 10 Commandments at Mt Sinai: the base 10 log of 600,000 is 5.778. It is because all is One and in G-d’s plans everything is One, everything ties together. There were about 3 million Israelites at Mt Sinai, but the Torah specifically singled out and mentioned the 600,000 men who were there, just as it specifically mentioned the 70 family members. Man barely knew how to count 3330 years ago when the Torah was given at Sinai, so there is no way he could have calculated the logarithms to choose these specific numbers. As the Arizal pointed out, those 600,000 souls at Sinai divided by the 70 family members and again by the 12 sons of Israel and the 3 Patriarchs gives us 10000/42, representing the 42-Letter Name of G-d capable of unifying us. Another thing that Man could not have known about 3330 years ago is that there are 3 strings of the digit sequence “…5778…” within the first 1000 digits of Pi (3.14159265358…) and also 3 strings of the sequence of “…2019…”, giving us consecutive back-to-back years 2018 and 2019 in the Gregorian calendar. Two of those “…2019…” numerical strings are actually matching 5-digit strings of “…42019…” each, coupling the year 2019 with the number 42. Also, when Man was told at Mt Sinai in the year 2448 to start counting jubilee years (50-year periods), he could not have known that he would have to wait 3330 or 66.6 jubilee years, until the year 5778 for his next opportunity to reach Binah. 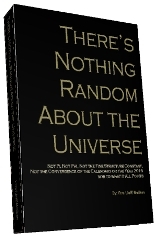 You can find 1000s of explanations of how the mathematical constant Pi is anything but random in the books, Nothing is Random in the Universe, and some illustrations of how standard gematria interprets them such as (3.14159265358…) breaking down to the Names of G-d 31 (אל); 15 (יה); 26 (יהוה) and at the 10th decimal place 358, Moshiach. The World to Come, Binah, associated with the number 1000 is called the great Shabbat, one of 1000 years so how telling is it that the first string of “…42019…” within those 1000 digits of Pi is located at digit #702, the numerical value of Shabbat, or that the final 42019 is the last 5 digits of the 1000 and that the sum of the 995 digits until it is 4446, when 44 x 46 equals 57.78 yet again. Another thing about 4446 is that it is 1332 or 2 x 666 less than 5778. Let us be crystal clear, Man can mess with his DNA; Man can mess with nuclear atoms, but Man can not shape of influence which digit in Pi is where or how often it reoccurs. Only G-d could do that. And while Man had a hand in warming up the Earth a little, it was G-d’s prerogative to make the surface temperature of the Sun, 5778K. The fingerprints of G-d are all over the mathematical constants Pi and Phi. For example, intercalated amongst those first 13 digits of Pi with the Names El, Yah, the Tetragrammaton (יהוה) and Moshiach are the 3 digits 4, 9 and 5, who add up to 18, whose square root is 4.24 (Moshiach Ben David). When we raise the other primordial mathematical constant Phi (1.61803399…) to 18, we get 5778.000 yet again. By the way, those 3 intercalated numbers (4, 9, and 5) were the 3 rd, 6 th and 9 th digits, which also sum to 18, and (4 x 3 + 9 x 6 + 5 x 9) = 111 or Aleph (אלף) representing Binah. Nevertheless, this article is mostly about G-d’s fingerprints found in His system of Logarithms and not so much which we have already written about extensively. Atheists would say it is nature that determines the physical laws that created mathematics and our solar system, and believers would say G-d (Elohim) is nature. While believers can easily see G-d’s plans being unveiled, atheists probably still see it all as mere coincidence, impossible 1 in a trillion coincidences, but coincidences nonetheless. Believing in G-d is all about letting go of our ego, and the belief that we are in control is the hardest aspect of ego to let go of. Denial is the purest form of ego. Let us examine some of those so-called coincidences. While the log of 9 is .95424, spelling out in gematria “The King Moshiach Ben David (95 and 424),” the number 954 also represents the digit #954 within Pi, where the 3rd and final 5778 is located within those first 1000 digits. The final one of the 3 sequences of “…2019…” comprise the absolute last 4 digits in the first 1000 digits of Pi, metaphorically the year that the Gates of Binah and sealed. 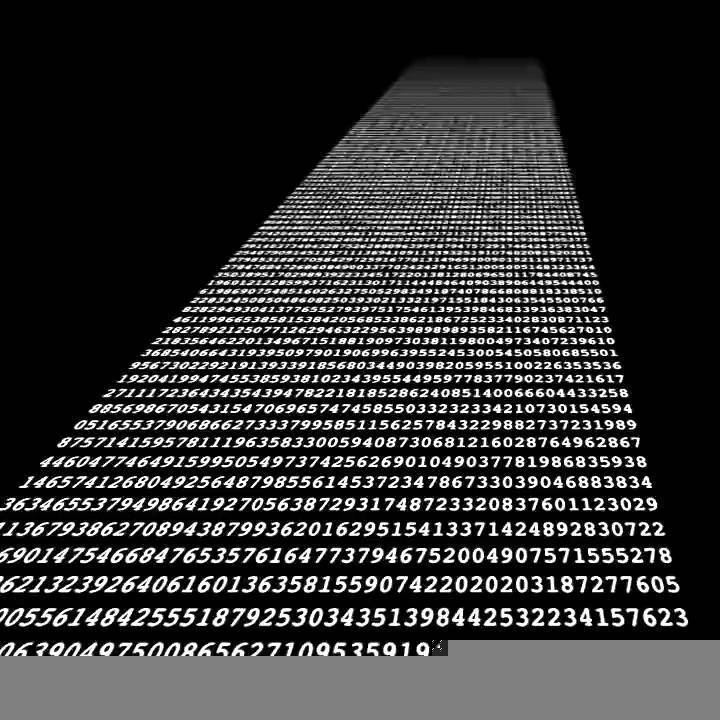 The final “…5778..” is part of a 10 digit sequence “…5778185778…”that starts at digit #948 and the sum of the digits in Pi up to that point is 4240 or 10 x 424. Interestingly, there are 42 digits between the last “…5778…” at digit #954 and the last “…2019…” at digit #996. This is like the prophecies of the prophets calling for a period of 42 months until the final redemption. The log of 10 is Unity (1); the log of 9 spells out “King Moshiach Ben David;” and the Log of 8 is .90309, which hints at the 42-Letter Name of G-d since 903 is the sum of the integers from 1 to 42. The 42-Letter Name of G-d is the ladder to Binah built into the Torah’s first verse and according to Rav Brandwein of blessed memory, “The Understanding of the 42-Letter Name will bring about the geulah (final redemption). Of ALL the endless sums of the logs from the bases 1 – 10, the ONE number that is closest to a whole number is 42, or most precisely 41.99997. This makes the number 42 unique in the universe. This is because the 42-Letter Name is the ladder that we can actually climb that bridges our world with heaven and eventually with Moshiach Consciousness (Binah). This is also why we use the 42-Letter Name matrix to count the Omer every year and why it is especially important this year. We have been advising about the convergence of the Gregorian and Western Calendars upon the year 5778 for 20 years now so we would be remiss to point out that the ONLY log whose Hebrew Calendar year aligns with its Gregorian one is the year 2000 or 5760 in the Hebrew Calendar. Through the Log of 5760, which is 3.76042248, the year 3760 HC, the year “0” in the Western Calendar is eternally connected. 2000 years separate the two dates and there are no other dates that line up separated as whole numbers at all. Ironically, the date 3760 HC is followed by 422, the year the 1 st Holy Temple was destroyed, -422 BCE. 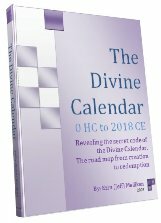 The 2 nd Holy Temple was destroyed in the year 70 CE, and “422” is the gematria value for the Hebrew word “seventy.” How is it possible that the only date this happens with within the entire logarithmic system is the year 3760 HC (0 CE), the date the 2 calendars pivot on? And given 3.760 42 248 whether G-d intended this or not there are 42 rows in every Torah scroll and 248 columns. Perhaps it is a reminder that it always comes back to the 42-Letter Name and to the Torah. Taking it all a giant step further and knowing that Binah, the 1000-year period of Moshiach, is most represented by the number 1000, if we were to add the logarithms of all the bases from 1-10 for the number 1000, they would sum to 42.3994 or 42.4, the numerical value of Moshiach Ben David. That must be telling us something. The 10 logs of 1000 could have added up to any other number. No number could have added up to anything close to 42.4. Yet these 10 for the number 1000 did. Given the nature of logarithms and their very flat curve most resultant numbers fall into the double-digit category. To reach a result above 100, even with summing all the logs of bases 1 – 10, our starting number would need to be about 12,000,000 and it goes up exponentially and unfathomably higher from there. What we are saying is that 42.4 is the only number that could be representative of 424, especially since the sum of all the logs from bases 1 -10 for even the lowest whole number, 2, is 4.25. Please note that all the logs from bases 1 -10 for the number 1 are “0,” which if we wanted to extract meaning from, we could say that in Unity (Oneness) there is zero (“0”) space between us. If we wanted to get closer to 4.24, we would have to forsake whole numbers and could go with 1.998 or 3 x .666 which would give us 4.248 as the sum of the logs for the bases 1-10, with 4248 being the sum of the 22 spelled out Names of 22 Hebrew letters. Yes another fingerprint is found on the Natural Log of 70 or LN (70), which is the log to the base of e (2.718…). The Natural Log of 70 is 4.248. Given that all the summary logs from 1 to 12 million must fall between 4.25 and 100 and given that each one is the sum of 10 different mostly irrational numbers, the odds of one being so close to anything meaningful are astronomical, yet there is a second number that is always associated with Binah. The kabbalists have been writing about the 50 Gates of Binah for thousands of years—it is even in our Passover Haggadahs. Since we know that we must reach the 50 Gates of Binah in order to enter Binah, and that we last reached the 50 th Gate when Moses led the Israelites out of Egypt, how incredible is it that the sum of the logarithms of all the bases from 1-10 for the number 3450, representing Moses (משה 345) and also Hashem (השם 345), are precisely 50.000. According to the Zohar, it is because of this connection to the 50 Gates that we were first told to count the 50-year jubilee cycles, starting at Mt Sinai in 2448 HC, corresponding to 24.48, which is the sum of logs of bases 1 -10 for the number 54. The number 54 stands out because 54 x 107 = 5778 and the sum of all the integers from 1 to 107 is 5778. Within those 12 million numbers there are only a few that meet our criteria for precision and one of them is the sum of the logs for all the bases from 1-10 for the number 26, representing the Tetragrammaton (יהוה), whose resultant value is 20 (19.99799 to be more precise). The value of 20 represents Keter, the highest dimension, which is why the 10 Commandments are found in the 20th chapter of the Book of Exodus (Shmot) and why there are 620 letters in the 10 Commandments, like the Hebrew word for 20, Esrim (עשרים) of numerical value 620. Also, for what it is worth, 20 x 50 = 1000. There are a few others, though one number that keeps coming up for us this year, the number 58, and as we explained in our previous article there is a strong correlation between the Megillah Ester, Ester, Mordechai and the Biblical story of Noach and the Flood. They share mutual gematriot of 58, 78 and the 127 combinations of 7 words, amongst other things. As if to make sure we did not miss this important correlation, G-d made sure that when we add the logarithms of all the bases from 1-10 for the number 12700, representing the 127 provinces times the 100 days in the Megillah Ester; the 127 years of Sarah, the Matriarch; and the 127 possible combinations of the 7 words is the Torah’s first verse, corresponding to the 7 sefirot of Zeir Anpin beneath Binah, we would get 58, or 57.99957 to be exact. We would be remiss if we did not mention the further correlation between word Megillah (מגלה) with a standard value of 78 and an ordinal value of 33 for a complete value of 111, and the Aleph (אלף), which is also eleph (אלף) meaning 1000, also of spelled out value 111. The reason we bring this up is that 78, as in 5778, is also the value for Mabul, the Biblical flood (מבול) whose ordinal value is likewise 33, which is the sum of the logs of the bases 1 – 10 for the number 216, representing Gevurah (strong judgement) and the 216 letters in the 72 Names of G-d used to split the Red Sea. To think that this is coincidence is to also ignore that the first 33 letters of the Torah add up to a gematria value of 3003, which is the sum of all the integers from 1 to 77. G-d’s fingerprints are all over this. Even today, it is impossible for a team of engineers with a powerful super computer to create a document with anywhere near the complexity of the Torah, let alone align it, as G-d did, with the mathematics that underlay the framework of all the physics of our universe. G-d also chose to design our solar system to that same alignment. He did not have to do this. He did not have to make the Earth orbit the Sun at 66,600 mph. He could have created a system without fingerprints for us to trace; He could have left us with only one option: truly blind faith. He tried to make it easy for us to find faith and certainty. Even in the final year 5778, with the floodwaters of Binah already upon us since Purim and the Gates of Moshiach Ben David opening wider every day since Pesach, He wants us to find our way in, to find certainty anyway we can. Of the fingerprints we highlighted above we can connect the dots: after 70 years since the founding of the State of Israel in 1948, the 50 Gates of Binah will swing open ushering in the Great Shabbat (702), the 1000 years of Moshiach Ben David (424) and in accordance with the hints given to us by the Arizal, the crucial moment can happen on the 18th day of Iyar, on the 33rd day of the 50-day Omer period, or .666% of the way through that period which began 100 days or .666% of the way through the period from Zot Chanukah to Shavuot, or .333% of the way through the period from Sukkot to Zot Chanukah in the year 5778 (2018 CE). B”H it can all unfold as written in the numbers. It depends on us. Let’s Count the Omer, but what are we really counting? Our revelations last year, about the Omer we’re pretty startling, but one simple piece of the puzzle had alluded us: why do we count it twice? One time by days and another by weeks. As noted last year, since no light is ever lost, the sum of 49 days we count is equivalent to the sum of the digits 1-49, which is 1225. But each weekly cycle, like the 7 words and 28 letters of the Torah’s first verse from which the Ana B’koach is derived, is similarly counted and the sum of the 7 days counting (1-7) is similarly 28. And if we apply the value 28 to each week’s counting and count the 7 weeks using the same principles as above and as was used repeatedly in the construction of the Torah, we get the sum of the 7 sums of the weekly cycles as (28 + (28+28) + (28+28+28)…) or 28 squared, which is 784. But what is revealed by this double counting that we do every year is 784 + 1225 = 2009, as in last year 2009 CE. Now the day we don’t count, the final day, the completion of the Jubilee cycle, is the 50th day, Shavuot, the day we received the 10 utterances (Commandments) and thus the 10 sefirot (dimensions) of the Tree of Life, 66.6 jubilee years ago (3330 years ago). And adding the final 10 to 2009, gives us 2019, the year the tzaddikim indicate was slated all along for the final redemption. Presented below is the in depth article published last year. The importance of 2009 and the distinguishing of the final 10 years to the geula (redemption) will become more apparent once you’ve read it (or reread it). f you’ve been reading our articles, you may feel like you’ve been collecting pieces of the giant cosmic puzzle, so here are few more key ones. For 3330 years we’ve counted the Omer, but for the first time we have a clear understanding as to why. The Key is in the word “Counting.” The Torah doesn’t command us to count many things, but it’s very clear about counting the 50 days of the Omer every year and about counting and keeping track of jubilee (Yovel) years every 50 years. The tzaddikim instructed us long ago how to count the Omer properly, counting the days one at a time: along the branches of the 49-word Psalm 67 in the shape of a menora, one word at a time; counting the 49-letter central trunk of that menora one letter at a time; and counting the 42-Letter Name of G-d (Ana B’Koach) one letter/word at a time, including the name of the angel comprised of the 6 letters of each of the 7 rows, making 49 letters or words to be counted in total for each of 49 (7 x7) days from the 2nd day of Pesach through the reception of the Torah on Shavuot, the 50th day. To the kabbalists, 50 always signifies Binah, the upper sefira (dimension) of Understanding, as in the 50 Gates of Binah, and the numerical value of Binah is 67, so it’s no coincidence that King David, wrote the divinely inspired Psalm 67 with 49 words. It’s also no coincidence that the midpoint in David’s life, 2889 HC, marks the exact midpoint from the Birth of Adam to the date the tzaddikim predicted for the full manifestation of the Moshiach and the tree-of-life (Etz Chaim) reality and geula in 5778 HC (2017-18 CE). It’s also no coincidence that the 42-Letter Name is being used as the tzaddikim have also told us that the understanding of this Name will bring about the geula (final redemption). The theme of midpoints is very important and the midpoint in the counting is on the 25th (5 x 5) day. Another important day occurs 8 days later in the counting:s the 33rd, day, called La’g B’Omer, when we celebrate the hillula of the author of the Zohar, Rabbi Shimon Bar Yochai and when his energy is available to us. The 33rd day in terms of the sefirot (dimensions) is hod of hod, or the 5th level of the 5th level, so you can already see there is a connection to the midpoint of the Omer, or 25th day. The open revelations below were first made on the 33rd day, L’ag B’Omer, this year, 5/12/2009, and not coincidentally we also revealed that the gematria of L’ag B’Omer is 358, that of Mashiach, when the kolel of the 7 letters is included, which isn’t surprising since Rabbi Shimon Bar Yochai, has a spark of Moses, who was an aspect of H’Moshiach. And perpendicular to it we have the letters (Sh,Y, Ch, B) for Shimon Bar Yochai, and just as significantly the Shin, Yud, and Chet add up to 318, as in the exact numerical value of B’Omer, thus at the 33rd letter in the 42-Letter Name we have L’ag B’Omer and the initials of Shimon Bar Yochai. And if we use the gematria atbash of the Bet, which is Mem, we get a total gematria value of 358, Mashiach. But that is just an aside, the real revelations are still to come. counting, the 25th day or 5 x 5, 8 days earlier, which is not coincidental since the first 8 words of the Torah have 33 words and a total value of 3003. But here is what we can reveal today. The midpoint in the counting of both the central 49 letters and the 49 words of Psalm 67 intersect at the same place: the 1st Mem in Yamim. And when we sum up those 25 words, plus the kolel for the 25 words we get 5778. Moreover the sum of the square roots of those 25 words is 345, that of Moses. Remember 5778 is 9, or 3 x 3, years from now, 3330 years after the Torah was first received in 2448 HC. And as unconceivable as it is, up to that 25th word, the sum of the square roots of the 24 words is 333.078 or 3330 years and 78, represents the initials of Etz Chaim (A,Ch) the tree-of-life. So given that when we examined the sum of the square roots of the 33 letters we counted through L’ag B’Omer this year, it came to 220.095 or 5/12/2009, May 12th 2009, L’ag B’Omer 2009 (5769 HC). And the sum of the square roots of the sofit values of the same 33 letters is 256.44, the numerical value of Aaron, Moses’ brother and another aspect of Mashiach. This past L’ag B’Omer, the energy of Mashiach that was earned during teh 8 days of Pesach this year was revealed to us and for us through Rabbi Shimon Bar Yochai, and it was marked on a counting system invented thousands of years ago. There are no coincidences about these midpoints. Within the 248 words (1000 letters) of the Shema, the first paragraph has 42 words and is this associated with the 42-Letter Name of G-d, but in the center of that paragraph there are the words Brit Bam or “Covenant of 42.” At the very center of the 42-Letter Name of G-d we find the word Brit spelled out again. And while we’ve previously explained in The Genesis Prayer and elsewhere the connection of this central placement in the Ana B’Koach to Moshiach and the value 358, the sum of the initials of the words through the midpoint of the Shema’s first paragraph is also 358 (including the kolel of 1). But there are two words “Bam(BM)” (Bet-Mems, or 42) in the Shema, and the 2nd one is the 137th word, as in the numerical value of Kabbalah (to receive), meaning that the span that just includes both 42’s is 115 words long. And this is significant because we’ve just completed 115 jubilee years since Adam and the year 5778 is exactly 115.56 jubilee years since Adam. Jubilee (Yovel), by the way, is spelled (YBL) of numerical value 42. And if we go to the 115 chapter in the Torah, we find the main verses telling us to Count the Jubilee years, starting at Vayikra 25:10. Once again 25. Now, if the 22 words, 87 letters, 1 verse and 5 for the 5 final letters, owe also get 115 , but what’s more is that when we add the numerical value of final letters plus the kolel of 115 we get from the 22 words in the verse, plus the kolel of 115 we get 5769 (2009 ce), the same date given by the counting of the Omer. But what’s the significance of the jubilee years? This full verse is divided into two parts, the first being 42 letters and the second being 45 letters, together forming 87, the gematria of Ani YHVH (I am G-d), and if we read the verse, even translated, it’s obvious that it speaks of the arrival of Moshiach in the first section and of the geula in the second. See for yourself. While the initials of the last 3 words in the verse spell out Emet (EMT), truth, which is what the Torah and the 42-Letter name of G-d are called, the last word in the verse is Teshuvu. “you shall return” of gematria 708, the same as that of the upper 42-Letters of the Name of G-d.
And Rabbi Shimon in the Zohar in the Idra Zuta (section86), speaking about Vayikra 25:10, explains what the jubilee (yoval) is “and that spreads out its roots by the river (yuval).” (Jeremiah 17:8) For jubilee means a river after the river, which is Ima that comes out flows and emerges uninterruptedly to the garden, which is Malchut.” Ima is Binah. Yovel (Jubilee) and Yuval (the river) are spelled the same except that the Torah sometimes spells Yovel without the vav(V), giving is a value of 42. To understand this you must know the secret that the vav always represents Zeir Anpin as does the number 45, which is why the verse 25:10 has two sections, one with 42 letters representing Yovel (jubilee) and the 42-Letter Name and the other with 45 letters, representing Zeir Anpin and Yuvel (the river), making the 42-Letter Name Binah to Zeir Anpin and making their union/fusion the key to the free-flowing river of Light, that is the Tree-of-Life. And just to be clear, this verse 25:10, this 115th chapter, announcing the arrival of Mashiach and the geula with the jubilee year, starts at the 180030th letter in the Torah and the square root of 180030 is 424.300, with 424 being the gematria of Mashiach Ben David. As for why 180030 letters and not 180000 letters which would be so cool, who knows, but Adam, who gave 70 years of his 1000-year lifespan to David, lived 930 years, or 18 jubilee years plus 30 years. And speaking of David, there are exactly 115.56 jubilee years from Adam to 5778, and while the midpoint in that time frame is the year 2889, the midpoint in David’s life, we also have inexplicably an equation whereby 115.56 x 28.89 = 3338, which is the year the First Temple was destroyed, which is also defined by 5778 x .5778 = 3338. And while the square root of 115.56 = 107.50, we also have the phenomenon that the sum of the integers through 107 = 5778. For more on this please see the books The Divine Calendar and There’s Nothing Random About the Universe, but either way, there is a definite and definitive calendar of what is to happen and when, and it’s been around for 5778 years, which just happens to be the surface temperature of the sun (5778 K). And most important for us, ever since L’ag B’Omer 2009 (5769) the energy of rabbi Shimon Bar Yochai, the spark of Moshiach is here with us and here to stay. Right now the energy is individual. Those that choose to connect to it can. It has not been universally available for nearly 3330 (66.6 jubilee years), but it is now. The river (yuval) is flowing. To the tzaddikim the final letters in a Torah phrase speak to the future, and the telling final letters of the 4 words VKDShTM ET ShNT HChMShYM, add up to 880 as in the 88th paragraph of Vayikra, which it is, but they also add up to 2000 using gematria sofit, and it was in 2004 that the first book about the 42-Letter Name, The Genesis Prayer, was written to explain the connection between the Name and Moshiach and to help open the channels for the river to flow through. Alternatively, 2000 plus the 17 letters in the 4 words is 2017, as in the year 5778. As per The Divine Calendar, the theme of 8’s is of extreme significance in Biblical dating and hence the connection of 8 days between between the 25th and 33rd days, but it also explains Rabbi Shimon’s and the spark of Moshiach’s reappearance 8 years before the start of the 2017-2018 (5777-5778) period, which coincides which what the tzaddikim have told us will be the 8 year period of the brit (covenant) of Mashiach, akin to the 8 day period before the brit milah of a new born boy. So it’s also no coincidence that in this double reading corresponding to the 57-78 verses, we also read at Vayikra 26:42, “then I will remember My Covenant with Jacob and also My Covenant with Isaac and also My Covenant with Abraham I will remember, and I will remember the land.” And let us not forget that G-d made his Covenant with Abraham in 2018 HC. And just like the word Brit (BRYT) spelled out at the center of first 42-word paragraph of the Shema and at the center of the 42-Letter Name, and of the numerical term 358 (Moshiach) mathematically spelled out in both places, and just like the first 4 letters of the central trunk of the the Psalm 67 menora that also spell Moshiach (MShYCh) and its next 8 letters that add up to 358 (Mashiach), the first 5 initials of the first 5 words of verse 25:10 add up the 612, that of Brit (Covenant). G-d is not forgetting His Covenants, so let us not forget either. The time and energy is upon us. Author Jeffrey MeilikenPosted on April 13, 2010 April 2, 2019 Categories RevelationsTags 10 commandments, 10 utterances, 107, 115.6, 1225, 137, 2009, 2009 ce, 2017, 2018, 2019, 25:10, 28, 2889, 33, 3330, 3338, 33rd, 345, 358, 42, 42-letter name, 424, 5769, 5778, 5778 K, 612, 67. psalm 67, 70 years, 708, 930 years, brit, covenant, cycle of 7, emet, first temple, geula, jubilee year, king david, lag b'omer. redemption, Mashiach, Mashiach Ben david, messiah, omer, rabbi shimon, Shavuot, tree-of-life4 Comments on Let’s Count the Omer, but what are we really counting?